Located on a 450-acre working farm in the heart of the Hudson Valley, New York, The Hill at Wright’s Farm is nestled among fresh peach trees in the summer and Mutsu, Mac, and Cortland apple trees in the fall. The Shawangunk Mountain Ridge is the backdrop to this site and has a view so breathtaking that the fields surrounding The Hill were left unplanted to avoid losing the panoramic beauty. The natural fragrance from the peach blossoms and apple blossoms are an addition to the already prominent allure. 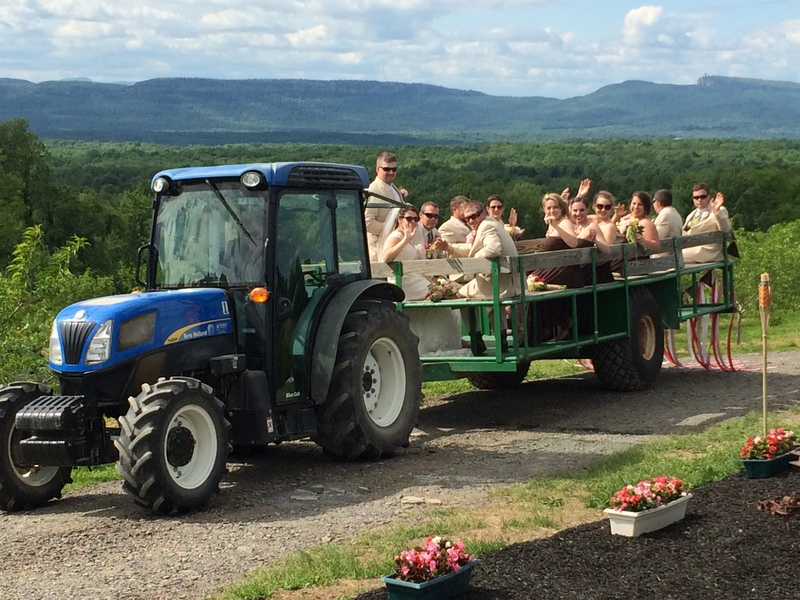 The Hill originated in 2014, when our daughter made the decision to have her wedding “on top of the hill.” It was an easy decision to make when choosing the site because of its charm. Plans were made to build a patio facing the Shawangunk Mountain Ridge. The patio is surrounded by a split-rail fence, perfect for all guests of the event. Whether in the afternoon or at night, the sky surrounding The Hill goes on for miles and the sunsets cannot simply be captured with a camera. The Hill at Wright’s Farm will give you the perfect memories of a lifetime and help you to capture an event that will be impossible to forget.